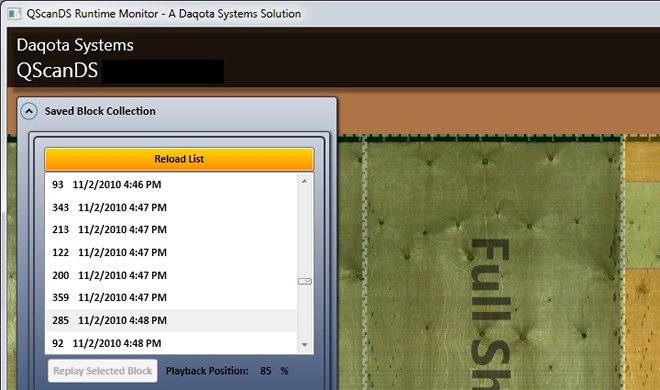 Daqota Systems Q-Scan HS (High Speed) is a Gateway Technlogy providing veneer producers with new and innovative methods for green veneer scanning, defect detection, and look ahead grading and value optimization. 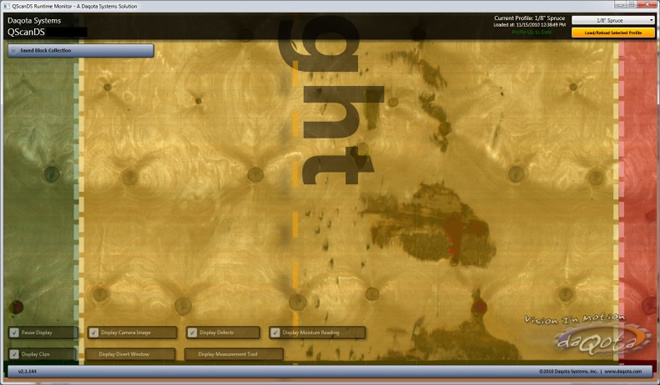 Q-Scan allows veneer manufacturers to define unlimited product and customer solution profiles for species, defects, value, clip sizes, grade, and more. 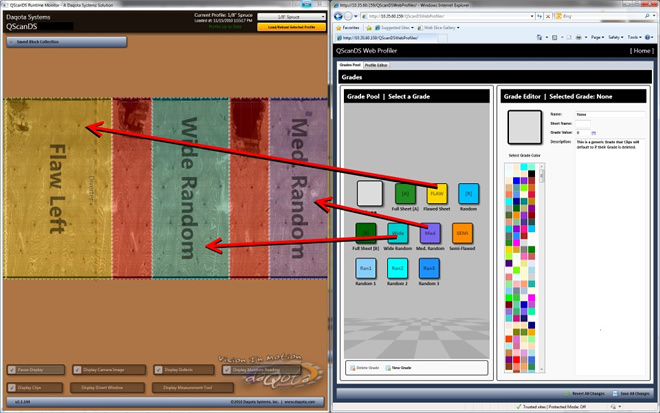 A robust set of tools is available through a descriptive, web-based graphic interface to allow flexible and comprehensive profiles to be defined. From then on simply choose your desired production profile from the drop down menu and start production. 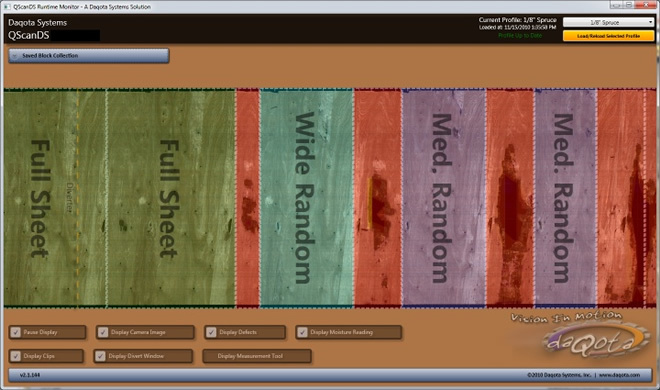 With the integrated post scan anaysis software, called the QScan Sandbox, you can store your scan data, tweak parameters, and visually solve for new solutions to better analyze your profiles and optimize your solutions for the best possible production value. Q-Scan scans in full high resolution color and identifies color variations, cracks, splits, open and closed defects, and can either choose a best value clip decision utilizing Daqota Systems clip optimization software for grade, value, and defect, or clip by defect alone. Q-Scan's high resolution scanning produces extremely accurate defect locations to allow for precise clip locations. Daqota Systems can also provide clipper controls to integrate with your new Q-Scan System to provide a more seamless and integrated production line. Ask us about our closed loop precision tray controls and how we can improve control, response and give you smooth ribbon control and full lathe line integration.